Plaid is Rad! - Fall Favourite! I love plaid! Not sure why I have developed this little obsession. Maybe because it reminds me of fall and the beautiful changing leaves and crisp weather here in Canada. I especially like it this year because plaid shirts tend to be flattering for most body types. Since having my second daughter five months ago I'm still far away from my pre-second baby post body and the plaid seems to hide that post-baby bump! Do you love it as much as I do? 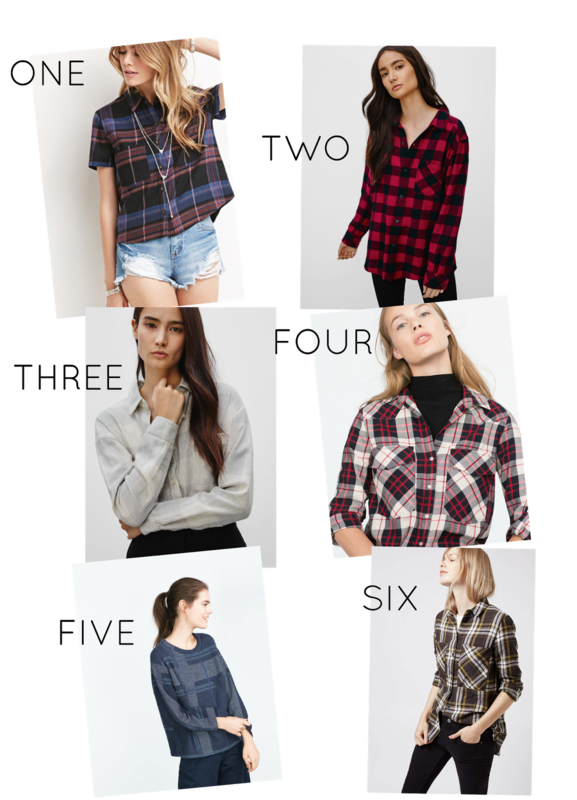 Which are your favourite plaid pieces?